Thoughts: A little fun never hurt no one, right? Truth be told, A Royal Night Out looks like pure cheeky Brit froth but that doesn’t mean it should be totally written off. 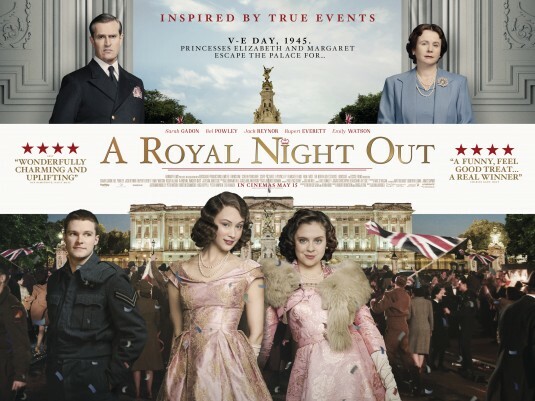 This period-set mix of historical drama and comedic revisionism feels like it could play as a nice palate cleanser after years of sitting through so many stodgy tales of the monarchy. Sarah Gadon (Dracula Untold, Enemy) looks an awful lot like the future Queen of England (and a young Helen Mirren who’s played her too) and it’s always nice to see Emily Watson (The Theory of Everything) and Rupert Everett. I was recently impressed with Bel Powley (The Diary of a Teenage Girl) and think her take on Princess Margaret looks like a daffy delight. I interviewed Jack Reynor when Transformers: Age of Extinction came out so I’ll be interested to see him in this as well. Thoughts: Back in 2013 I placed director Denis Villeneuve’s Prisoners on my best of the year list and while his 2014 follow-up, Enemy, didn’t rank quite as high in my book it still showed a filmmaker with dexterity, definitely someone to keep an eye on. 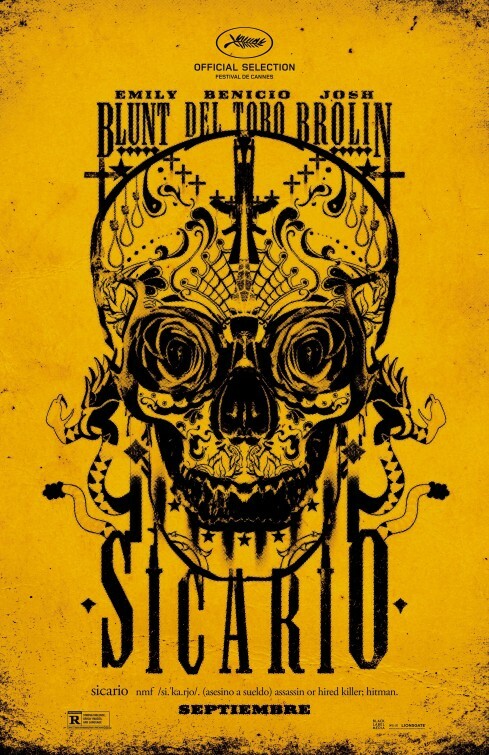 Villeneuve’s 2015 offering is Sicario, a taut-looking thriller following an FBI agent (Emily Blunt, Into the Woods) as she travels to the dark underside of drug trafficking along the U.S. border. Villeneuve has demonstrated a thrilling style for these kind of tense character studies and, while I hadn’t heard of Sicario before catching this trailer, it’s quickly risen to one of my most anticipated movies of the year. I think Blunt has demonstrated that she can nimbly balance her tough side (Edge of Tomorrow) with lighter turns (Salmon Fishing in the Yemen) but this could be her true break-through role alongside Benicio Del Toro (Inherent Vice) and Josh Brolin (The Goonies). Keep your eyes peeled for this one. Review: A nice trend lately from Disney and Disney/PIXAR is to include a short animated film before their feature releases. These little nuggets tend to be mostly golden (several have won the Oscar for Animated Short Film), packing a lot of ingenuity into their five- or six-minute running times. Audiences lining up to see Inside Out should make sure not to be late because to miss PIXAR’s newest short would be a shame. As is the case with most shorts from the studio, the message is simple though the execution can be slyly complex. Lava is a musical story of a Hawaiian volcano longing for a partner to call his own. 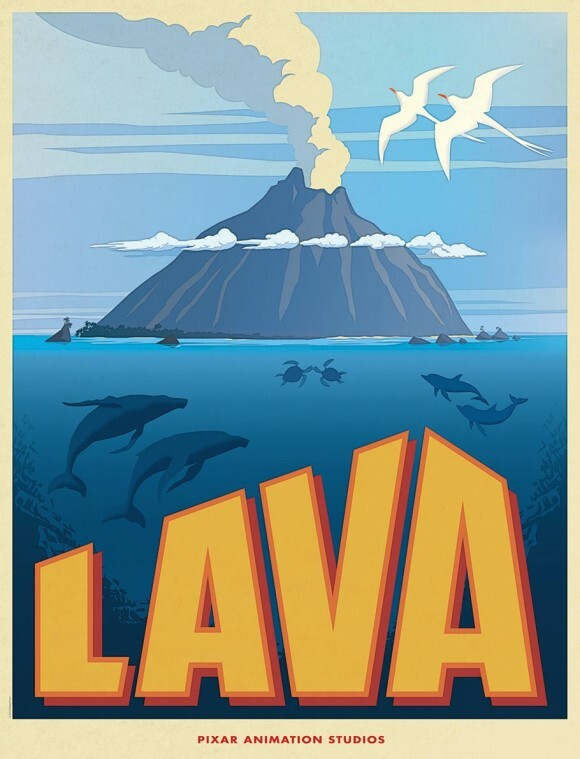 All around him he sees couples: birds, clouds, turtles, etc and his melodic wish (sung with heart-tugging brio by Kuana Torres Kahele) is to find someone to love-a…sorry, lava. The key to it all is just below the surface…where a female volcano (Napua Greig) has been listening for years. Their story unfolds in a beautifully rendered six minutes, warming up your tear ducts for Inside Out…but these are happy tears wrung out of you unapologetically by director James Ford Murphy, a lone ukulele, and two gorgeous voices. One of Pixar’s best shorts to go along with one of their best films. Synopsis: The story of French high-wire artist Philippe Petit’s attempt to cross the Twin Towers of the World Trade Center in 1974. 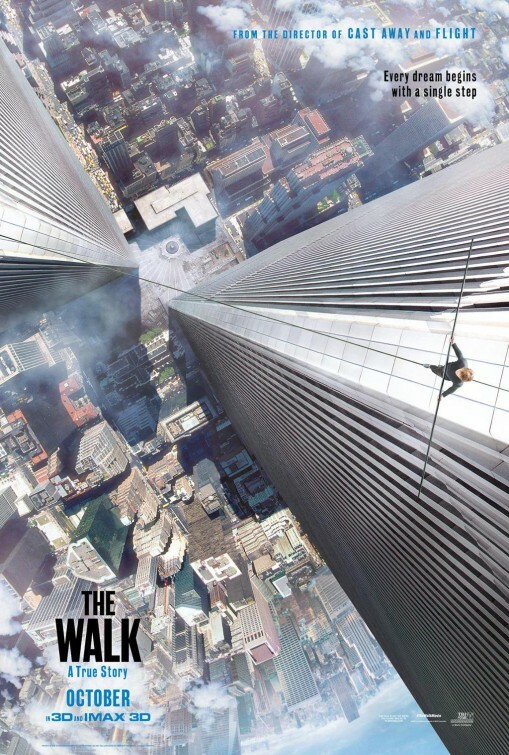 Thoughts: After the first true teaser, I can see a viewer watching the newest trailer for The Walk on their computer screen, tablet, or iPhone and thinking that the biopic is another technically proficient film from Robert Zemeckis (Flight). However, my first experience with the trailer was on a 7 story tall IMAX screen in 3D and the effect was, as intended, impressively dizzying. 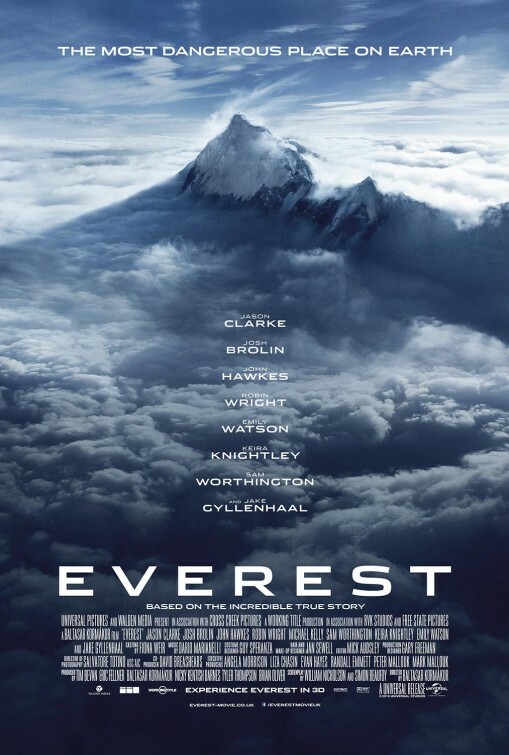 Inspired by the Oscar-winning documentary Man on Wire, Zemeckis looks to be using every cinematic trick in his repertoire to its fullest advantage as he brings audiences sky high for this true life tale of one man’s attempt to do the impossible. Those familiar with the documentary will know there’s more to the story than just stringing a wire between two buildings and with Zemeckis at the helm and Joseph Gordon-Levitt (Don Jon) in the leading role, I think the transition from documentary to biographical narrative will be a smooth one…one that’s required viewing in IMAX 3D. Review: The original tagline for Jurassic Park was “An adventure 65 million years in the making” and I can summarize my thoughts on Jurassic World with something quite similar: An adventure 65 million and 22 years in the making. After wading through two lesser-than sequels that were equal parts boring and silly, audiences finally are getting the sequel we’ve deserved for the last two decades. It’s not as ground breaking or awe-inspiring as the first film but it comes pretty darn close by going back to where it all started and creating a rarity in filmmaking these days…excitement. Largely ignoring the events that transpired in The Lost World: Jurassic Park and Jurassic Park III, Jurassic World feels like the direct sequel to Steven Spielberg’s 1993 film and mores the better because of it. Now the film is free from having to explain away “Site B” and the lame San Diego-set finale of the first sequel. From its opening title shot of hatching eggs leading into a clever nod to an iconic image from the original, the movie earns its stripes by introducing us to actual characters this time around, rather than walking meals on wheels destined to become dino chew toys. Brothers Gray (Ty Simpkins, Insidious) and Zach (Nick Robinson) are leaving their wintery Wisconsin homestead for the warm weather and excitement of the Jurassic World theme park. Gray is a big dinosaur buff but it helps that their aunt Claire (Bryce Dallas Howard) is head of operations at the dino-themed world of wonder. There’s some thin subplot with the boys and their bickering parents but the film largely forgets about it and so should you. Claire doesn’t have much time to spend with them because she’s in the midst of securing sponsors for the park’s newest attraction, a genetic hybrid dinosaur cooked up in the lab (governed by B.D. Wong, the only returning character that isn’t from the prehistoric era) as a way to renew interest in the park. You see, the public is bored with dinosaurs now that they are so easily accessible so the park has to reinvent itself every few years to stay financially stable. There’s a heavy amount of product placement in the film but unlike other summer blockbusters the products featured here are there for a purpose, showcasing the rampant consumerism and sponsorship in marketing today. Fears about the safety of the containment facility of the new species means that Claire has to call on rugged Owen for assistance. Played by Chris Pratt, Owen is a retired army man that has a bond with the four raptors he’s been training and doesn’t have time or interest in the financial stakes of the park. When the clever dinosaur manages to escape (in the first of several gruesome and gruesomely thrilling sequences), Owen and Claire work together to take down the beast on the loose before she makes it to the main section of the park where 20,000 tourists are enjoying fun in the sun. Admittedly, the media hype surrounding the film has spoiled more than a few of the surprises the theme park has cooked up in the past two decades. From a gigantic water-based dinosaur to the pterodactyls housed in a mountain aviary, there isn’t much the film hasn’t outright shown or hinted at in the ads leading up to the release. But fear not, more than a little of the fun of the film is seeing how it all comes together…and don’t forget this is the island where the original took place so keep your eyes out for well-placed mementos of the past. The finale may borrow a bit from 2014’s Godzilla but I found it to be an adrenaline-fueled reward for those of us that have waited so long for the sequel. If I’m going to knock the film for anything it’s the violence. Yeah yeah yeah, it’s a PG-13 movie and it’s not as gory as it could have been but it’s simply too frightening to take young children too. Many an unlucky soul is eaten and they don’t always go quietly so I’m urging parents to think twice before bringing their children along with them. The violence isn’t just to humans either and I was a little amazed at how visceral a reaction I had in several dino on dino battles. I had heard some internet buzz that the CGI was poor in Jurassic World but that couldn’t be further from the truth. There’s some top-notch creations here and the effects team mixes computer animation and animatronic models with skill, once again blurring the lines between fantasy and reality. From a baby triceratops giving a ride to young children to the fearsome size of the genetically created Indominous Rex there are moments in Jurassic World where I was transported back in time to the first screening of Jurassic Park. While I doubt any cast assembled could top the original, director Colin Trevorrow has cast the film with some unexpected choices. Pratt (Guardians of the Galaxy) is a nice, meaty slick of bo-hunk that comes across better in the finished film than he did in a frightfully bad clip released a few months back. I’ve always found Howard to be a bargain basement Jessica Chastain and it’s true her blunt ginger bob is the most severe thing about her, but she too makes for a good female protagonist even if she’s forced to do it in a cream ankle-length sheath dress and high heels. Claims that the film has a sexist tone aren’t totally unfounded, but it feels like it comes from an old-school battle of the sexes place rather than a misogynistic one (helps that the screenwriters are husband and wife). Making a huge leap from his first film (Safety Not Guaranteed), sophomore director Trevorrow seemed like a random choice when it was announced he was sitting in the director’s chair but credit producer Steven Spielberg (JAWS) with knowing talent when he sees it. Trevorrow keeps things tight and exciting from beginning to end, never letting the audience get ahead of the film and treating them to a bundle of scares and adventure along the way. I’d waited over a decade for another Jurassic Park movie and wasn’t the least bit disappointed in Jurassic World. It not only honored the film that started it all but made a comfortable place for itself on the shelf next to Spielberg’s history-making effort. Synopsis: A decidedly odd couple with ulterior motives convince Dr. Alan Grant to go to Isla Sorna (the second InGen dinosaur lab. ), resulting in an unexpected landing…and unexpected new inhabitants on the island. Review: It took four years for Steven Spielberg to direct a sequel to 1993’s Jurassic Park and with the problematic reception of The Lost World: Jurassic Park in 1997, the award-winning director was understandably cool to the thought about returning behind the camera for the third entry in 2011. 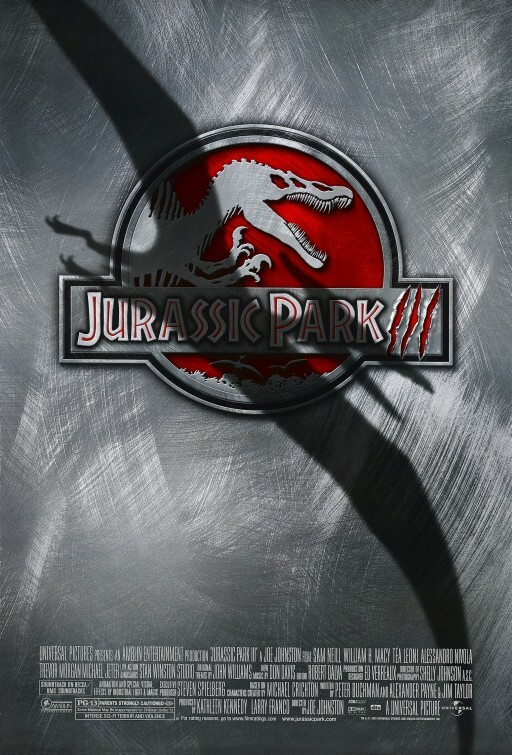 Instead, Spielberg gave his old pal Joe Johnston (Captain America: The First Avenger) the chance to direct and while the end result was a marked improvement over his lugubrious sequel, Jurassic Park III has its own set of problems to contend with. Paleontologist Alan Grant (Sam Neil, The Vow, making a welcome return to the series) is facing budget cuts and a scientific community more interested in his adventures at Jurassic Park than the research he’s devoted his life too. When a wealthy couple want to hire him and his assistant (Alessandro Nivola, American Hustle) to guide them on a sight-seeing trip over Isla Sorna (Site B featured in The Lost World: Jurassic Park), he reluctantly agrees as a way to make ends meet. Nevermind that series fans will know that Grant never set foot on Isla Sorna (Jurassic Park took place on Isla Nublar)…it’s a detail explained later but not very well. A crash landing is only the start to the bad luck Grant and company encounter as they try to survive an island with dinosaurs that have run amok and double-crossing members of their party. At a trim 92 minutes (including credits) the film doesn’t take much time to breathe (or to think) and it’s probably best if you follow suit. Between some fairly terrible CGI dinosaurs and animatronic models that look like they were plucked out of your local science museum, the quality of the effects took a tumble here. Odd colored dinosaurs look like they have graffiti on them and the raptors have mohawks…punk rock raptors? 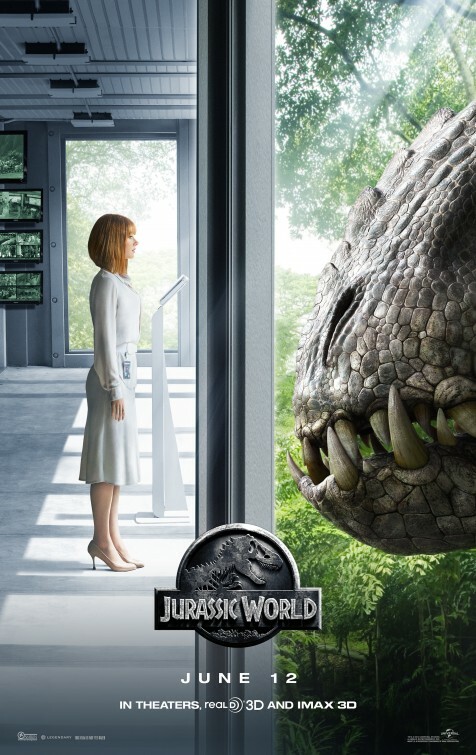 A big bad dino has a head that looks so fake you wonder if Johnston wasn’t making a spoof of the original film instead of a continuation of that story. Performance-wise, only Neil (and a brief cameo from Laura Dern, The Master) have any real sense of urgency. Everyone else seems to be present to chew the scenery or be chewed on. Particularly bad is Téa Leoni who takes one too many pratfalls and apparently gets several haircuts during the 24 hours they are stranded on the island. Leoni also has an annoying way of running through the forest screaming and waving her arms and legs like she’s on fire, leading me to wonder if someone ever bothered to tell her she wasn’t in a comedy. It’s not as boring as The Lost World; Jurassic Park but it’s far sillier. Depending on your mood, that could be either a good thing or a very bad thing. Watching it again recently I rolled my eyes a lot but didn’t have the outright disdain for it that I had when it was originally released. The script (with a contribution from Alexander Payne, Nebraska) feels like a tired third entry in a successful franchise, nothing more and nothing less. Its lackluster performance at the box office signaled the closing of this beleaguered park, a wise move if nothing of substance could be produced. Synopsis: A research team is sent to the Jurassic Park Site B island to study the dinosaurs there while another team approaches with their own agenda. Review: I remember December 13, 1996 very well. I was in a theater at the Mall of America for the first showing of Tim Burton’s wack-a-doo sci-fi flick Mars Attacks! and was far more excited for the coming attractions that the feature presentation. You see, our local newspaper had let us know that the Mall of America would be one of a few theaters outfitted with a special “lighting surprise” that went along with the teaser trailer for director Steven Spielberg’s much-anticipated follow-up to his 1993 blockbuster Jurassic Park. OK…before we move on, take a moment and look at the teaser trailer I included above. I’ll wait. The lights go down and the trailer begins – a fairly simple teaser over all but every time there was a lightening flash when the words Something Has Survived appeared on screen the specially installed high powered strobe lights in the theater would flash a blinding light so it felt like you were right in the middle of the action. True, the effect was fairly unique but it also showed how downright dingy the walls and ceiling of the theater were. I tell you this story because the gimmicky nature of the preview of The Lost World: Jurassic Park wound up being the most interesting thing about the movie. Fanboys and fangirls around the world were pretty bummed out when the sequel to one of the biggest films of all times landed like a soggy thud on Memorial Day weekend. Oh the film made bank at the box office, no question, but it lacked the energy and awe of its predecessor and played like a quick cash grab. It’s been several years since the disaster at the original Jurassic Park and the mystery around the island still remains. When a British family picnicking on an island not too far away has a close encounter with some tiny dinos and a second site of dino creationism is revealed, mathematician Ian Malcolm (Jeff Goldblum, The Grand Budapest Hotel) is called in by billionaire and Jurassic Park creator John Hammond (Richard Attenborough) to…well…it’s never really clear why he eventually agrees to be dropped in the middle of the dinosaur action again. It’s not for any sense of loyalty, that’s for sure…in the years after the park failure Hammond’s company tarnished Malcolm’s professional reputation. Accompanied by a team that includes Richard Schiff (Entourage) and Vince Vaughn (The Internship), Malcolm is reunited with his girlfriend Sarah (Julianne Moore, Still Alice, slumming it for a chance to work on a big budget project with a high powered director), a research conservationist sent ahead as bait for Malcolm to follow. There’s also a pitiful subplot introducing Malcolm’s child (Vanessa Lee Chester) who stows away to spend more time with daddy. There are just so many things going on in the film that it’s hard to pick up any thread to follow. There are too many people as well, part of the beauty of the original film was that it was easy to track the half dozen characters that fought for survival…there’s hundreds of people in the sequel and the end result is that you don’t really care who gets chomped and who lives to tell the story. While there are a few perilous edge of your seat sequences there are far too many more stretches where nothing of import happens. A reliance on extra screen time for the dinosaurs seems like a ploy to pad the story and don’t even get me started at the hare-brained finale through the streets of San Diego. The entire film reminded me of King Kong, a film that Spielberg would toy with remaking almost a decade later. Everyone here looks exhausted (when you can see them at all, too much of the film takes place at night or deep in the jungle ) and Spielberg himself seems to have given up halfway through. 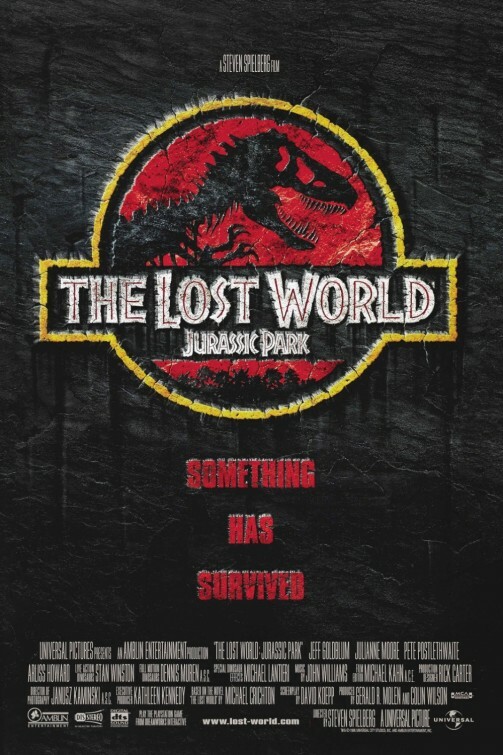 Rushed into production and only loosely based on Michael Crichton’s sequel to his mega-selling novel (Spielberg was the one that goaded him into writing it), the film feels so very heavy and devoid of the magic that made Jurassic Park a landmark achievement. 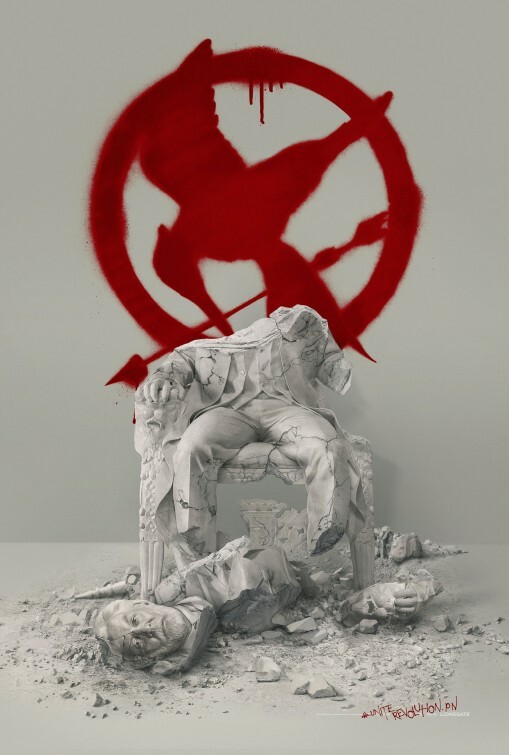 Synopsis: After being symbolized as the “Mockingjay”, Katniss Everdeen and District 13 engage in an all-out revolution against the autocratic Capitol. Thoughts: This is going to be a tough one. The final chapter of The Hunger Games film series arrives this November and brings with it the highest of anticipations on going out with a bang. Though fans were divided over the third book in Suzanne Collins’ trilogy, I found it be the most satisfying because it’s when the consequences of action became a reality. It’s a somber finale, to be sure, but the franchise has earned the right to get as dark as it wants. I felt that The Hunger Games: Mockingjay – Part 1 was downright scary and I know the worst is yet to come…so hold on tight. Starring Jennifer Lawrence (American Hustle), Elizabeth Banks (Pitch Perfect 2), Julianne Moore (Still Alice), Jena Malone (Inherent Vice), Sam Claflin (Snow White and the Huntsman), Josh Hutcherson (Journey 2: The Mysterious Island), Stanley Tucci (Transformers: Age of Extinction), Liam Hemsworth (The Expendables 2), Woody Harrelson (Out of the Furnace), and Philip Seymour Hoffman (The Master). Thoughts: There’s a Mars curse in Hollywood and everyone knows it. Numerous films about the red planet have been released over the years and, save for the 1990 version of Total Recall, they’ve all been belly-up flops. True, it’s not as if these were great films to begin with…like the 2000 double-header of Brian DePalma’s Mission to Mars and Anthony Hoffman’s Red Planet. John Carter was savaged by critics but it was better than it was given credit for. Now here comes director Ridley Scott (Prometheus, Blade Runner) with his bid to break the Mars curse and it looks like he may have cracked the code. Though the first trailer clocks in at an astounding 3+ minutes, it’s a brilliantly edited preview of the November release…giving us some idea on what to expect but not foreshadowing what’s to become of an American astronaut stranded on Mars. Based on Andy Weir’s 2014 novel and adapted by Drew Goddard (Cabin in the Woods), Scott has gone big with the visuals and cast. 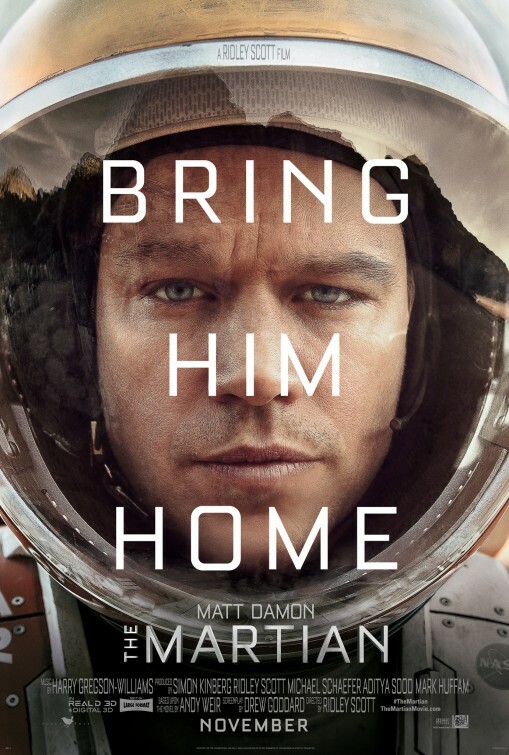 After sharing no scenes in Interstellar, I’m wondering if Matt Damon (Promised Land) and Jessica Chastain (Mama) will meet up again in this space tale. There’s also Jeff Daniels (Terms of Endearment), Kate Mara (Iron Man 2), Sebastian Stan (The Apparition), Chiwetel Ejiofor (12 Years a Slave), Sean Bean (Mirror Mirror), and Kristen Wiig (Girl Most Likely…).